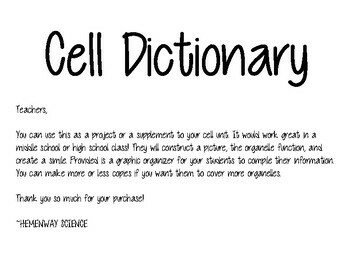 Students will use the provided graphic organizer to create a cell dictionary to supplement their notes. 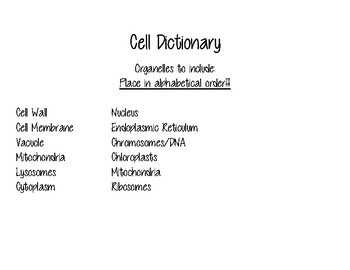 They will be drawing a picture, describing the function of the organelle, and give a simile for each organelle. 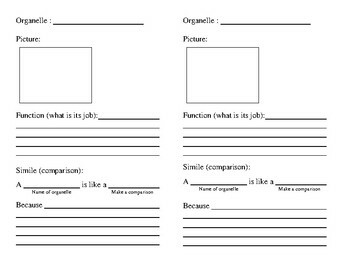 A quick rubric is included.